It is often that get the chest while thinking to store our large collections of things! Every time you have a bunch of things to store, you might think for a bigger storage box which should be secure too, so a chest would always be a right selection! 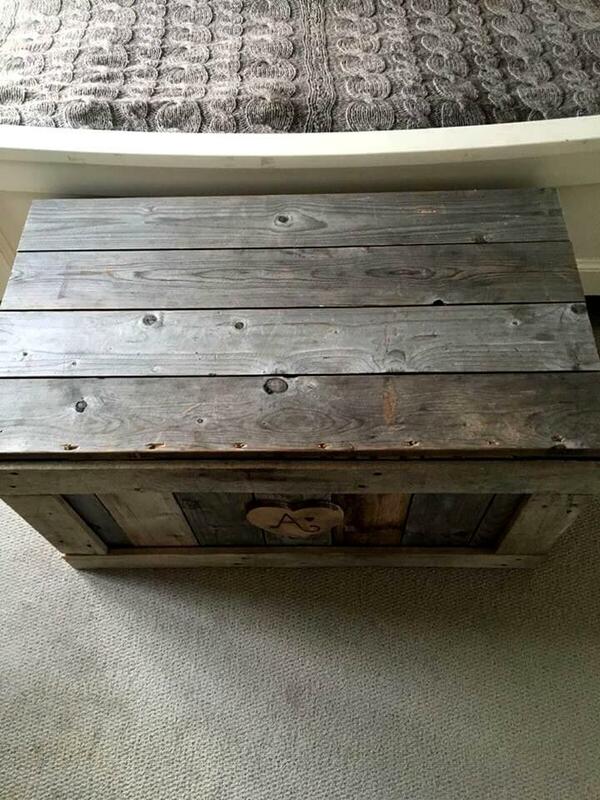 If you are having some old shipping skids you can just reinstall them to gain beautiful wooden chest just like this DIY pallet chest design, personalized with wooden tag in front having “A” inscribed alphabet! 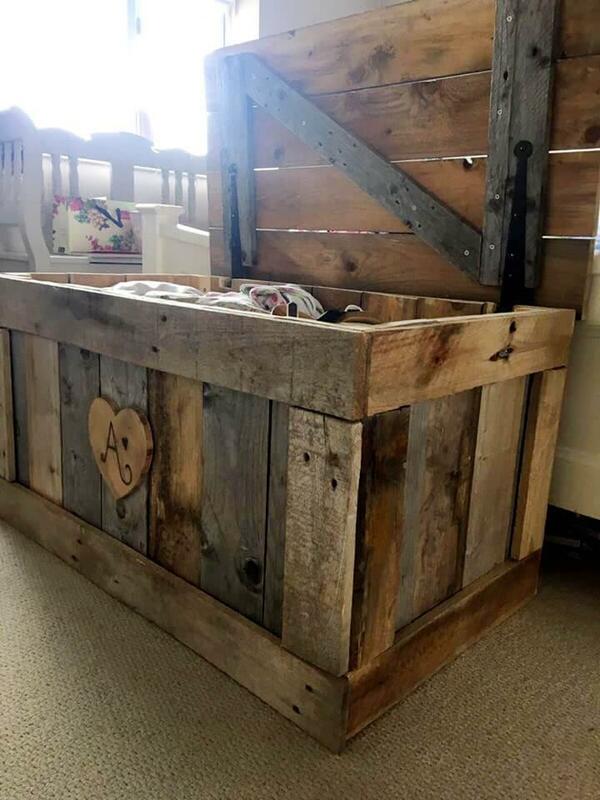 You can just get lot of wooden slats out of pallets with which you can easily clone this chest design as it is also made of them! Heavy wooden lid comes on large metal hinges so gets controlled movements and does not dislocate! Store your toys to clothes and also from tools to seasonal items in this chest! This is an ingenious way here to recycle pallets for boosting interior storage space for free! 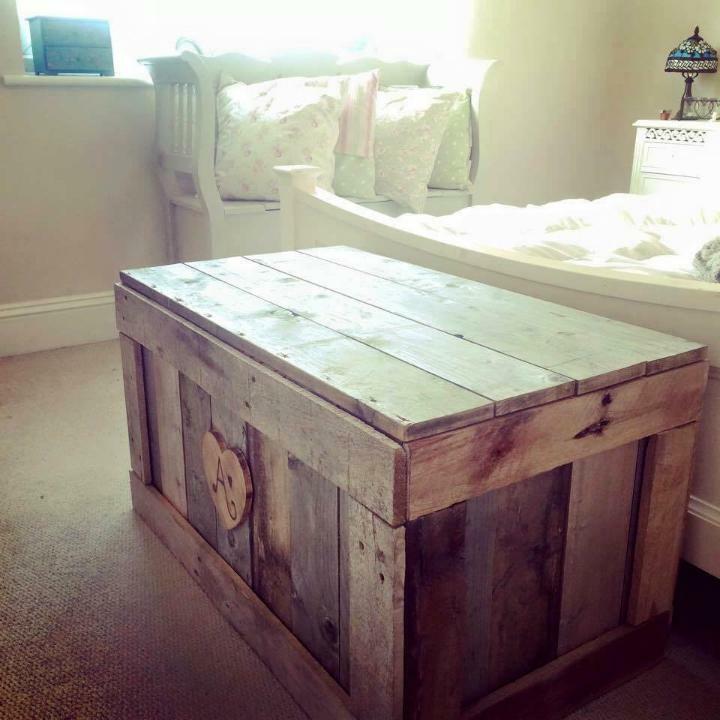 This wooden pallet chest would be a super smart option every time you need to store your bigger objects or a plenty of objects in a secure way! 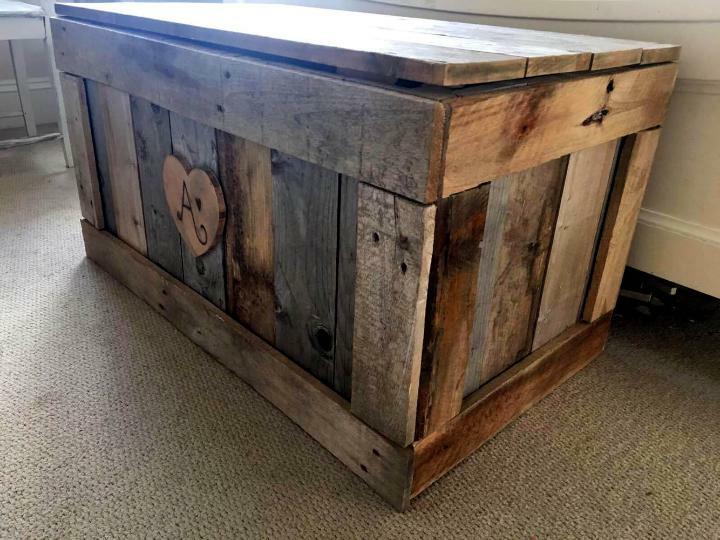 By building a large wooden box, a top lid has been installed to it for a complete wooden chest design, then a wooden heart accent has been tagged to make it personal! The wooden heart accent or tag comes with “A” alphabet which may a starting letter of owner’s name! The major challenge here would be the precise installation of lid! Measure the dimensions of pallet-made box and build the dimension of the lid according to configured values, this will make the lid nicely fit to lower chest’s box! Plan this lid for seasonal storage of things, to store the video games and kids gaming tools, kids toys, jewelry items and also clothes! 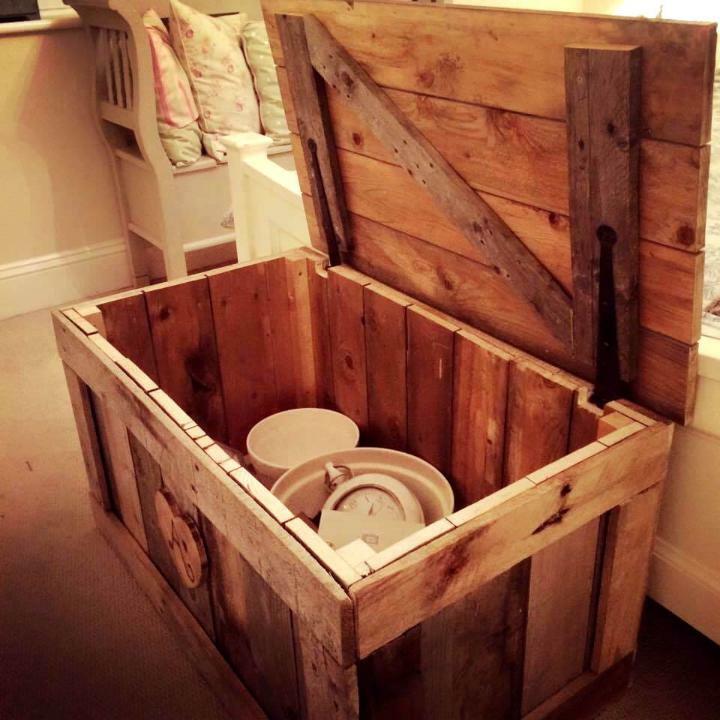 You can also store the items inside of this chest which you need to recycle or repair later! 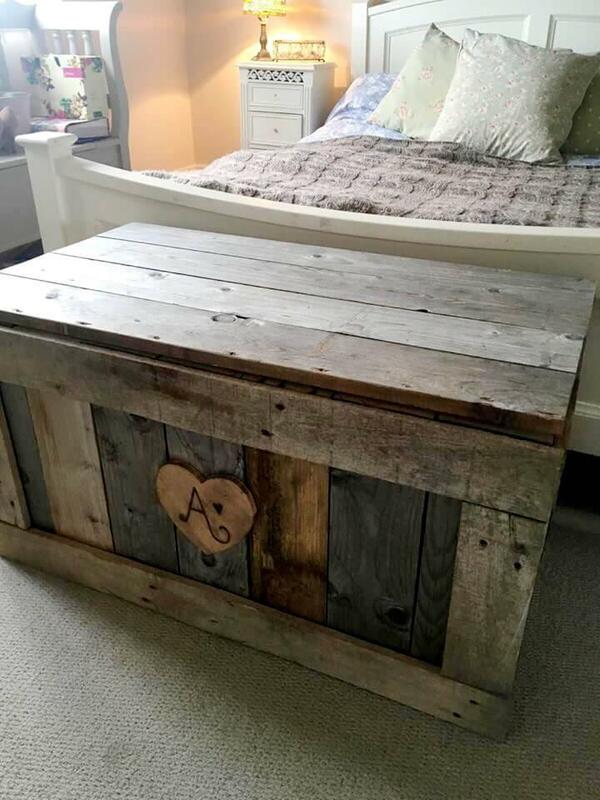 This is really a better idea to recycle pallets to boost up the interior storage space of home!